EUR/USD: Will the ECB Meeting be the Impetus for the Next Move Lower? Euro bulls have had little to cheer about lately. After losing 4.5% to the Dollar in 2018, the currency is again facing losses in the early parts of 2019. In fact, the 2% drop in the first quarter was its worst in four years. EUR/USD is now facing an important test heading into the next European Central Bank meeting this Wednesday, April 10. Will this be the impetus leading EUR/USD on it's next leg lower? Need capital to put behind your forex trades? Get up to $5,000 in live trading capital. Keep your first $5,000 in profits and 80% thereafter. Wednesday's meeting comes just over a month after the ECB surprised markets with a dovish turn. On March 7, officials lowered their forecasts for Eurozone economic growth at that time and pushed out any moves on interest rates to 2020. The big surprise, however, was the reintroduction of a so-called targeted long-term refinancing operation (TLTRO), a plan to help stimulate the economy through longer-term refinancing operations. 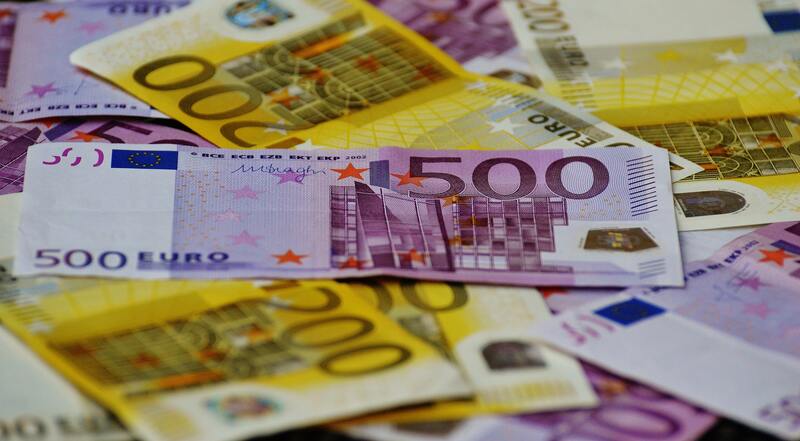 EUR/USD fell sharply in the wake of the March 7 meeting. 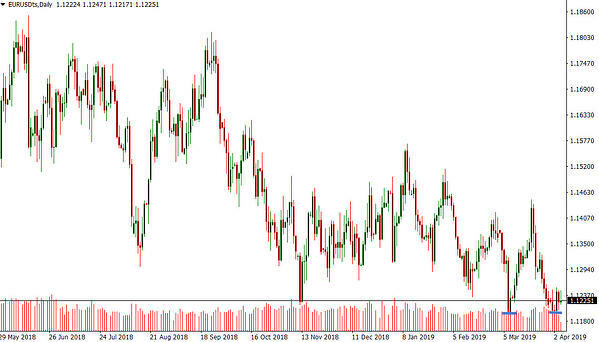 Already under pressure ahead of the announcement, the currency pair dropped to multi-month lows near the 1.118 area. However, the daily chart, below, shows that the drop proved to be a turning point and perhaps a moment of short-term capitulation. From there, an aggressive two-week rebound effort lifted EUR/USD back to as much as 1.1445 — helped by a dovish Federal Reserve. Then things turned sour once again and the Euro was again revisiting its 1.118 support area in late March. It finished the month 1.1215 before a modest uptick in the early days of April. 3/21: E.U. Flash Consumer Confidence down -7.2 in March after a -7.4 reading in February. 3/22: Germany’s Manufacturing PMI shows an unexpected drop to 44.7 (vs. 48 consensus estimate from economists). 3/26: Germany’s Index of Consumer Confidence unexpectedly drops to 10.4 while France’s GDP Growth rate in Q4 is just 0.3%. 3/28: E.U. Index of Business Confidence tumbles to 0.53 from 0.69 (consensus was 0.66), while Industrial Production prints -1.7 and Industrial Sentiment falls to 105.5 from 106.2. 3/29: Germany retail sales up 0.9% in February after a 2.8% increase in the first month of the year. 4/1: Germany’s Manufacturing PMI revised down again, this time to 44.1. In addition to weakening economic data, minutes from the March 7 meeting showed that ECB officials are concerned about a wide array of other issues: the threat from trade wars and protectionism, vulnerabilities in emerging markets and other geopolitical (Brexit) factors. From a technical perspective, there is not much that would suggest EUR/USD has found a bottom. The chart above shows a clear pattern of lower highs and lower lows, going back through 2018. That means that each time EUR/USD has rallied, it has failed to reach a prior high. Sellers are coming in earlier and earlier — a fact that makes it hard to be bullish the single currency. Most recently, the March 21 highs came in the mid-1.14's, 100 pips away from highs seen in January. That said, the 1.1180 level is setting up to be a tough test on whether or not the Dollar's trend higher can continue. As such, playing EUR/USD as a range-bound trade early this week may be the best. For more on some of the technical trends in EUR/USD, check out EUR/USD at Huge Inflection Point: Reversal Imminent? Some of the clouds of uncertainty floating over the Euro will probably lift in the short term if, for instance, the U.S. and China reach a trade agreement and/or a Brexit deal is reached. However, the upside is perhaps limited until the economic data improves (or U.S. data falls short of expectations). Until then, players will be watching to see whether March lows hold and whether the ECB has more tricks up its sleeves at its meeting on Wednesday.